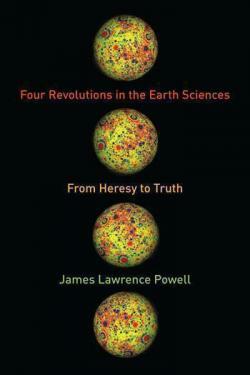 Steven Dutch continues his review of James L. Powell’s Four Revolutions in the Earth Sciences (2015), which began with part 1 and continued in part 2. The acceptance of metor impacts as a major player in geologic history is actually a tale of three mini-revolutions, and, apart from a few dogmatic assertions by prominent doubters, is mostly a story of “little science,” science proceeding through a process of additional discoveries and acquisition of new converts. The three mini-revolutions are the acceptance of meteor impact as a terrestrial process, the formation of the moon by mega-impact, and the role of an impact in the extinction of the dinosaurs. Two problems impeded interpreting structures as impact sites. First, deeply eroded impact sites lack a topographic crater, and the structures visible in deeply eroded sites are not visible in fresh craters. As in the case of ancient plate boundaries, geologists are faced with the problem “what are we looking at?” The other problem is that it took some time to grasp the phenomenal energies and forces involved. Even a modest rock plowing into a planet packs Hiroshima-scale or larger energy. (Early in my career, I did the relevant math for an intro geology lab, turned around, and saw that the math had brought two dozen people closer to cardiac arrest than I had ever seen.) The forces are so far beyond the strengths of rocks that the rocks are shoved aside as if they have no strength at all (this is different from melting, which also happens on a grand scale), and these forces are applied in microseconds. Some of the best illustrations of cratering phenomena are the celebrated slow-motion photos of droplets splashing (minus the surface tension effects). Merely tossing rocks into mud, or even firing bullets, as some early researchers did, doesn’t remotely begin to capture the physics. The story of the K-T impact is a classic of scientific serendipity, since Walter Alvarez hadn’t the slightest interest in dinosaurs when in 1977, he began work at Gubbio, in Italy. He was interested in the limestone because it was a lovely pink (I’ve seen cores) and contained iron, which made it useful for paleomagnetic pole studies. He found a thin clay layer where biological productivity had shut down for an extended period, and he and his father, the physicist Luis Alvarez, decided to use iridium as a proxy for micrometeorite infall to estimate the duration of the gap. The iridium was off the charts, and they realized that they must be looking at a large meteor impact event. Walter Alvarez was a post-doc at Columbia University at the time, and we grad students were privileged to be among the first to hear of his research. Although there has been some irrational opposition (there always is), I have never heard him describe his critics, or advocates of other explanations, as unfair, or portray himself as a target of persecution. With the theory of the “greenhouse effect,” we have the remarkable case of a theory that gained immediate general acceptance, then fell out of favor as doubts arose, only to re-emerge as the ruling theory decades later. The Swedish chemist Svante Arrhenius, best known as the discoverer of ionic dissociation in solutions, proposed that water vapor and carbon dioxide modulated Earth’s climate in 1896. The theory was initially embraced enthusiastically, but the devil proved to be in the details. Why focus on carbon dioxide when water vapor is far more abundant? If carbon dioxide quickly absorbs all the infrared radiation it can, why would adding more make any difference? And for decades, it was assumed that any effects would be in the remote future. If anything, they were seen as beneficial, perhaps preventing the next Ice Age. What makes understanding the mechanisms of anthropogenic climate change different from the other three revolutions is that after the science was fully settled, a massive disinformation campaign began, backed by economic interests and opponents of government intervention into environmental policy. The first stirrings of this campaign appeared in the late 1980s, a re-imagining of the disinformation campaign waged by the tobacco industry against the link between cancer and smoking. In fact, one leading scientific consultant for the tobacco industry, Frederick Seitz, later moved into attacks on climate science. Since contemporary readers are far more likely to be interested in the present assault on climate science than in some criticism of Svante Arrhenius a century ago, the book suffers considerably by overly condensing the history of climate denialism. Next up in part 4: conclusions.